Mobile Casino Apps vs Playing On Desktop – Which Is The Best In The Business? How Do Casinos Stay in Business? I want to start my own online casino business – do I need a licence? 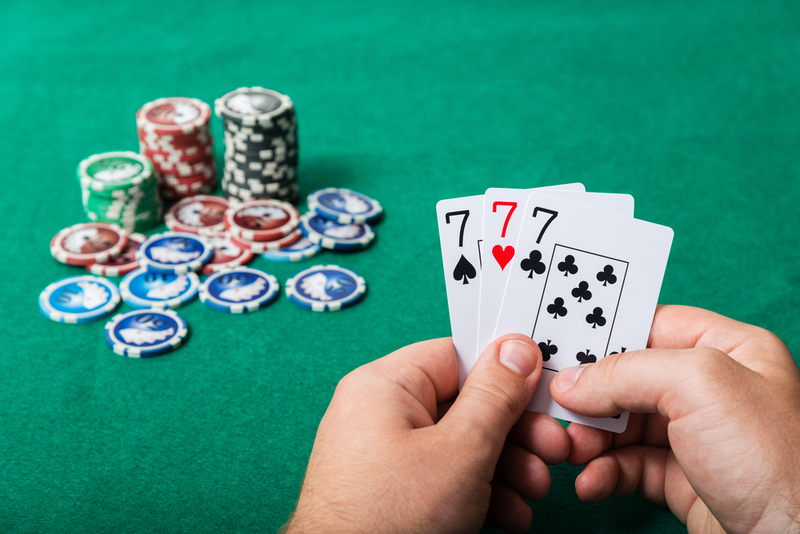 Anyone who’s played poker, whether that’s online casino poker, a live tournament or just sat round a kitchen table with some like-minded friends, will be able to tell you a few things about poker strategy, and a lot of things about life. It’s not so hard to translate online poker tips to valuable life lessons. Sometimes in life we might get stuck in the same old routines. Maybe they’re working for us and maybe they’re not. And maybe we’re just not looking hard enough for the alternatives. As a poker player you may find that you’re doing fine and making enough money, but there’s also a very good chance that you’ll win big some days and lose big on others. That kind of volatility can be pretty hard to get used to, so maybe there’s a way you can win all the time. And you know who wins all the time at poker? The guys running the poker room or the people running all the uk online casinos. They can charge you a flat fee to play or take a small rake from every hand, but whatever happens with the cards, they always win. So have a look at your options. Maybe there’s a smarter way to win. This is probably the best known of all the nuggets of poker wisdom, but it’s no less true for all that. Knowing when to hang in there or when to cut your losses is usually good advice whatever the game. Could it be time to let the failed business idea go and start something new? Has the relationship run its course and you’d both be better off with a fresh start? Only you can decide, but take the time to think things through, weigh up the pros and cons and try not to fall victim to the old “sunk costs” bias (in other words, don’t throw good money after bad just because you’ve already invested in something). If you can’t spot the sucker at the table, it’s probably you! Know yourself. Take time to be honest about your strengths and your weaknesses and don’t be fooled by flattery and false friends. Any poker player worth his chips knows that telling the patsy at the table how unlucky he’s being, and that he’s clearly a great player, is a sure fire way to keep him sat right where he is, losing all his money. So try to find people whose opinion you can trust, and listen to them. Even if it isn’t always exactly what you want to hear. Bankroll management is an often over looked but vitally important facet of playing poker. If you’ve only got a small amount to play with, don’t sit down with the guys who can happily lose thousands and barely blink, whether that’s at an online casino uk site or a live table in Las Vegas. In life too, it can be a good idea to set yourself some limits and be ready to walk away when you reach them. It might be the up front capital you put into a new business venture, or the time that you’re willing to invest in a new relationship. It can be easy to get sucked into risking more than you want to, but it’s never a good plan. Some people will tell you that poker’s not a matter of life and death; it’s way more important than that. But like everything else in life, you need to hang on to some perspective. It can be very easy to get so wrapped up in one thing, poker, work, your fitness regime, whatever it might be, that you can lose sight of the other important things in your life. Try to maintain a balance with all the things you enjoy. When it stops being fun, it’s time to walk away. And try to remember, when the the final hand’s dealt, no-one’s really going to care all that much about the size of your stack.